OMG Posters! » Archive "Protect The Ones You Love" Art Print by Kelli Murray - OMG Posters! We Love Creativity reached out about this cute new art print they have up for sale. 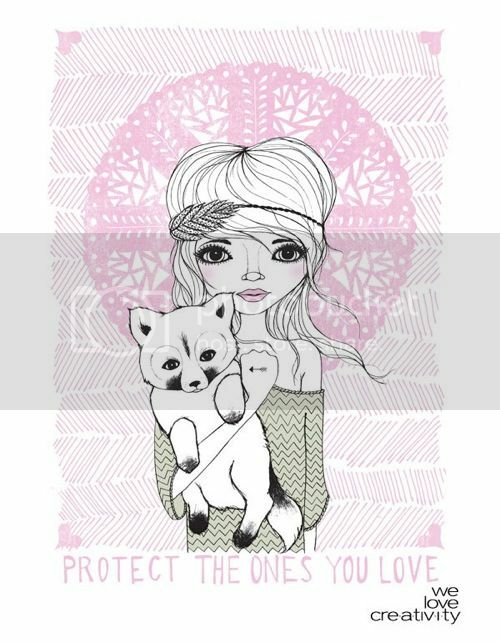 Kelli Murray’s “Protect The Ones You Love” is an 18″ x 24″ screenprint, has an edition of 50, and is $45. Visit WeLoveCreativity.com. I’ve seen some of her artwork at a few shows in San Diego. She’s very talented and definitely has a unique style.